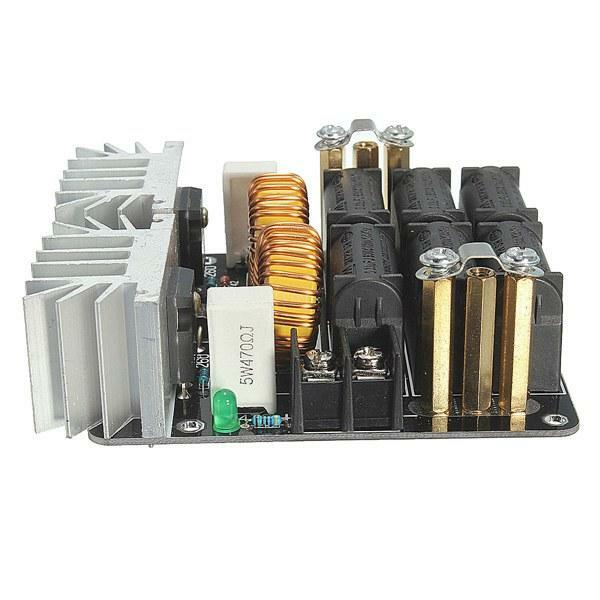 Maximum current 20A, maximum power 1000W. Tested 53V power supply when working properly. Also can be used with a graphite crucible melting gold, silver, copper, aluminum and other metals, uniform heating fast, very convenient. 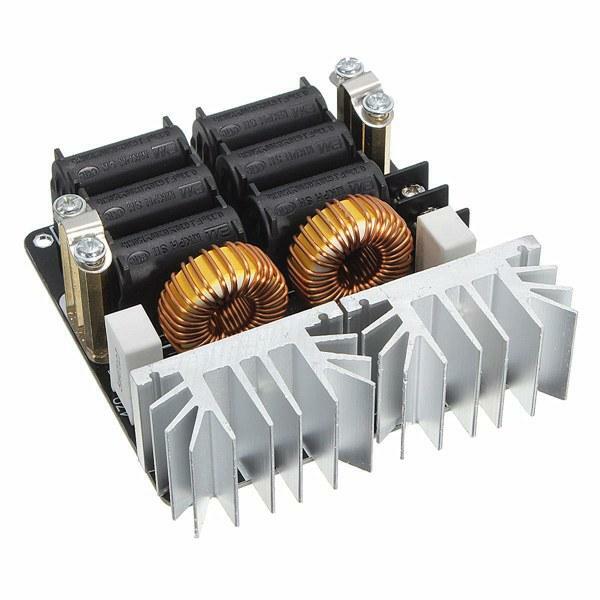 But at the same time heat is also large, so to eradicate the actual situation to select the input voltage, the general use of the words 24V or 36V power supply is enough. The coil accept 40mm crucible. 2, Buyers need to bring their own power and cooling unit. 3, The circuit board using double-sided fiberglass board, mainly copper traces are used to widen use the entire back surface of the resonant circuit common, continuous work, please add a fan to blow down from above, to the resonance capacitors and other components cool. 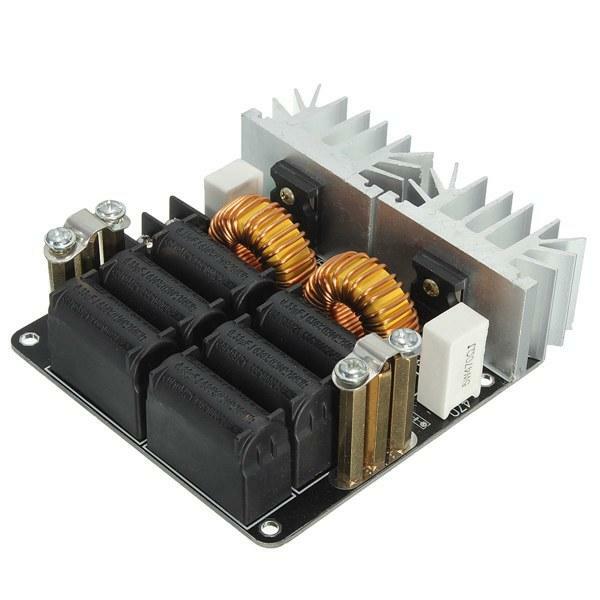 4, The use of switching power supply Please note that due to high power are generally slow start function, which just opened machine output voltage is slowly rising, while it is turned on before the induction heating circuit if the voltage rises to 12V, because start insufficient voltage can not afford to vibration, resulting in two simultaneous conduction mos tube so burned components. So the first will start switching power supply voltage reaches 12V above and then access the induction heating circuit. 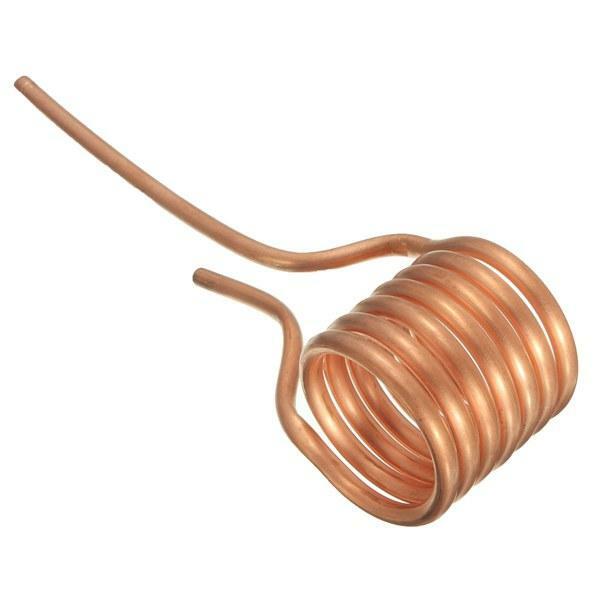 5, The volume of the object being heated inside the heating coil can not exceed 1/5 of the volume (if the heating cylinder, then heating coil diameter less than the diameter of 1/3), or it may be due to overload or burn out the power supply to the circuit. Although this circuit can tolerate 20-30A input current moment, but do not exceed 15A when safe work, you can easily add an ammeter between the power supply and heating driver board but always monitor the current overload. 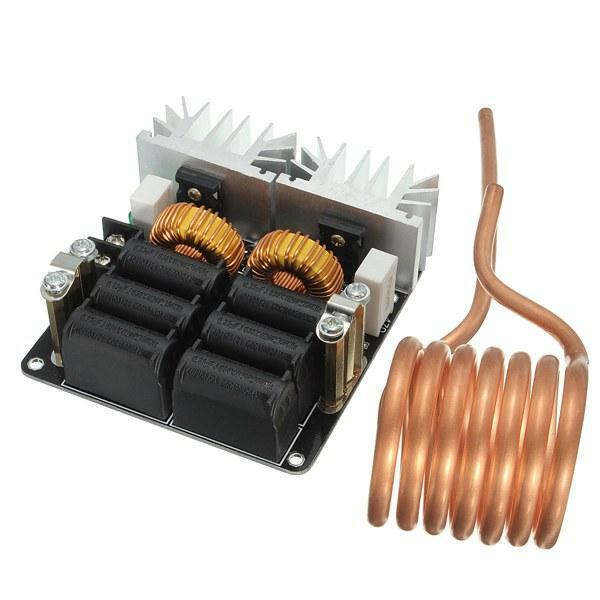 This circuit can not only do the induction heating, the copper tube into the high-frequency transformer, is a powerful inverter. 1, To increase the heat sink using a customized substrate as thick as 8.5mm! Cooling capacity is very powerful. 2, Using the M4 pillars, fever smaller, more efficient.